Hi boys and girls. I usually don't do a lot of hot sales and bargain posts because I've never been the most diligent bargain hunter. I am a man of impulses and convenience. Luckily, I recently pawned off a spare Xbox 360 to a friend of mine who also happens to be a penny pincher extraordinaire. It's a win/win situation really, as I now have a new online gaming buddy and I have someone to do the legwork of sniffing out gaming deals for me. 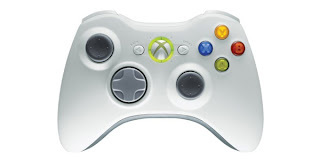 He recently gave me a scoop on cheap Xbox 360 controllers that can be had from NCIX for $24.99 CAD. Note that these are the wireless flavour and "recertified". Recertified, refurbished, reconditioned... it doesn't matter how you slice it, these are 50% off the regular retail price. There's a very limited number of these reconstituted goodies, so if you're looking to complete your 360 controller collection, this is your time to shine.